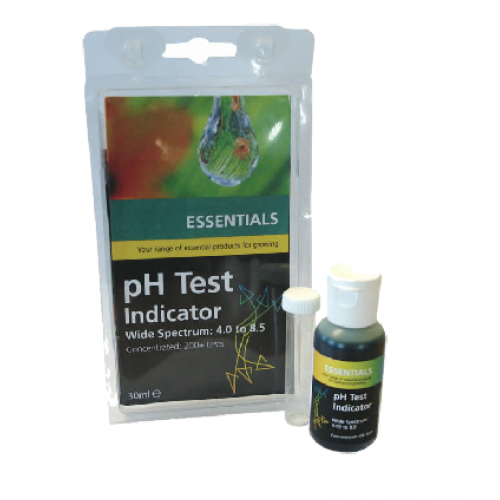 The Essentials PH Test Kit is very easy to use. Simply half fill the test tube with nutrient solution then add 3 drops of the liquid tester. The color of the liquid will change to show you the PH. This product comes with a little color chart to work out the PH, generally green is too high, orangey yellow is about right and red is is too low. As the meter is portable and does not need a power supply to operate, it can be used anywhere and an..
Budget digital ph meter, very reliable and does what its supposed to! We recommend getting ph buffer..
Canna Organic PH Down 1 Litre Canna Organic PH Down is a concentrated Citric acid that can be u..